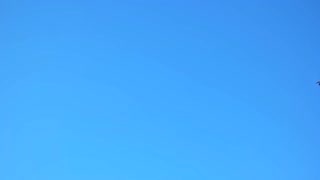 Search Results for "Birds fly tree blue sky"
Bird perched on a tree on background blue sky. The second bird arrives and the two birds fly away. Bird fly away from tree. 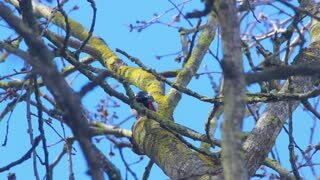 Great spotted woodpecker on tree branch. Dry tree branches. Woodpecker in tree branches. Blue sky. Bird on branch. Tree branches with green moss. Bird on tree. Flock of birds swarming against a blue sky with clouds. 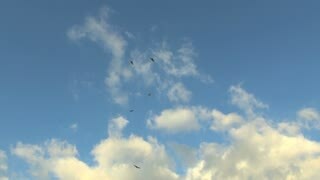 Large group of small birds flying close together hunting insects typical swarm like flocking behavior of starlings. Shot of orange/yellow sunset on a blue sky with clouds. Birds fly across the frame by an apartment complex and parking lot. A flock of birds flies across the blue sky on sunny bright day. Animals in wild nature. 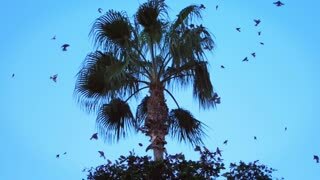 A small flock of birds gracefully fly over the leaves of a palm tree against a clear blue sky. Flora and fauna. 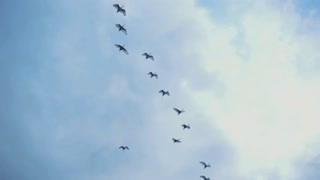 Birds flying in blue sky. Nature background with wildlife. A flock of pigeon birds is flying heading toward the top of the Asian temple gable in blue sky. Night heron perched on top of tree log flying away in slow motion with foliage and blue sky in background. Flying heron in a blue sky. Bird flight, flying above trees. Group of common starlings in a tree.